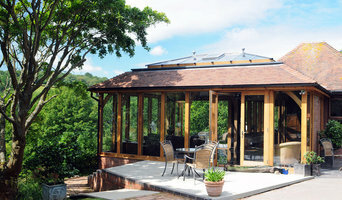 David Salisbury manufactures conservatories and orangeries exclusively from carefully selected timber. We truly believe that our products are second to none. We have over 30 years’ experience, and have created some of the finest quality bespoke conservatories, orangeries and garden rooms in both the UK, and North America. We are characterised by technical and manufacturing innovation, an unwavering commitment to customer service excellence and a product of exceptional beauty and quality. 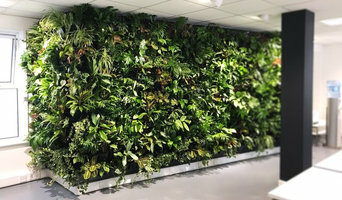 Environmental landscape, living walls, green roofs, environmental, emission reduction and biophilic systems. 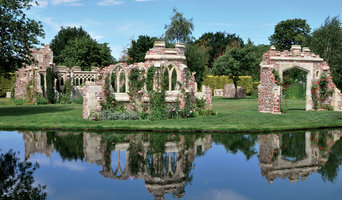 Redwood Stone specialize in the design and production of ‘authentic aged look’ stone garden and architectural ornament. The feather in the company’s cap is The Gothic Folly. Based in the small Cathedral City of Wells in the West of England, we have been in business for more than 35 years. SunSpaces specialise in contemporary garden rooms and verandas - we want to help you get more from your outdoor living space. The structures that we supply almost never require planning permission, and each one comes with an assembly guide and an instructional DVD that allows you to build your garden room without any professional assistance. Our team includes experienced designers, fitters and builders. We also have our own electrical and plumbing contractors. We specialise in a complete-service where from start to finish we pay major attention to detail whether it is your kitchen, bathroom, lighting package or under-floor heating. Having established since 1991 we have a vast, ever-growing portfolio. This extends across Wales and the South West and our work highlights how your ideas could become a reality. We are a family run business and pride ourselves in seeing every project, small or large, through from start to finish. We are at the end of the phone to answer any queries, carry out any maintenance or for any additional refurbishment work that you may require being carried out in the future. Our team provide excellent customer service and are a joy to have in your home, as customer feedback received testifies. Largest showroom of orangeries and conservatories in the Bristol, Weston-super-Mare or South West UK areas. Free parking on site. Building a conservatory, sunroom or orangery can be quite a substantial project, so it’s a good idea to hire a professional designer or specialist conservatory builders in Cardiff who have a lot of experience with conservatory installation or constructing bespoke glass extensions. Although the advantage is that with a conservatory planning permission isn’t always needed. With Houzz you’ll be able to see examples of pros’ previous conservatory or orangery designs, so you can determine which Cardiff conservatory specialists will be best suited to your project. You can easily find contact details on the professionals’ profile pages and then you’ll be able to receive conservatory costs and quotes for construction or installation. How should I plan my Cardiff conservatory, sunroom or orangery project? You will first want to determine how much outdoor space you have available to build your conservatory and then what you’d like the dimensions to be. 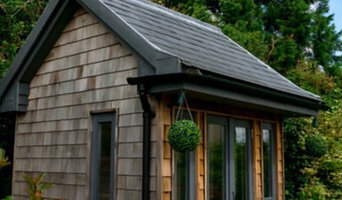 Conservatory planning permission is not needed if your extension meets the government’s guidelines on conservatory projects, so it is best to check these before deciding on the size and style of your new conservatory installation – professional conservatory builders in Cardiff will be able to help you with this, too. If your Cardiff house is within a designated area (including national parks and conservation sites) then there are further restrictions which could affect your choice of conservatory materials and styles. Once you have determined the dimensions and have an idea on what conservatory styles and materials will be feasible, then you can begin to find your ideal Cardiff conservatory designer by browsing the designs, photos and reviews on Houzz. You can look through their portfolios, see previous projects, ask questions, find out their average conservatory cost, look at their own website and contact them directly to discuss your sunroom, orangery or conservatory installation. 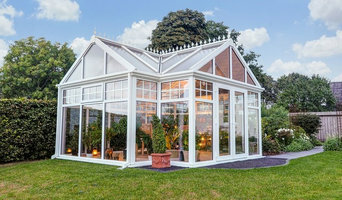 What should I ask a prospective sunroom specialist or conservatory builders in Cardiff? Find a conservatory, sunroom or orangery designer on Houzz. Narrow your search in the Professionals section of the website to Cardiff conservatory, sunroom and orangery designer. You can also look through Cardiff photos to find a conservatory, sunroom or orangery that you like, then contact the designers or conservatory builders in Cardiff who worked on it.